Are you Practicing Good RV Campground Etiquette? In general, RVers are pretty amazing people. They’re obviously adventurous and motivated to see the world, and nine times out of ten they’re more than happy to lend a helping hand to their fellow travelers. And since life on the road can be anything but predictable, they’re usually inventive, flexible, and laid-back. In other words, they’re people you probably want to be friends with. But part of what makes this special community work so well is a group focus on following a few basic rules and codes of conduct while camping — some of which largely go unspoken. If you’re a first-time camper, that idea could stand to make you a little bit nervous. What if you’re breaking standard camping guidelines you didn’t even know about in the first place? But fear not: camping etiquette isn’t some secretive, conspiratorial set of hard-to-follow mandates. In fact, it’s generally as simple as putting yourself in your neighbor’s shoes and treating them as you’d like to be treated yourself. Kind of sounds like the rest of everyday life, doesn’t it? Here’s what you need to know about following proper RV park etiquette. Whether you’re trying to be a good neighbor at a built-up RV park or figuring out how to keep everyone happy while group camping in the woods, it doesn’t have to be difficult to be a good neighbor (or campmate). It really comes down to one simple idea: You’re not the only person hoping to enjoy the campground. So do everything you can to leave behind as many resources as possible for the next camper, and go out of your way to be courteous to the others who you’re currently sharing the space with! 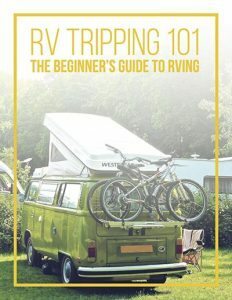 For example, if you’re scoping out a sweet-looking boondocking site, but see that another camper has already gotten there, it’s good RV parking etiquette to leave a healthy distance between their campsite and yours. Sure, maybe they want to hang out and be friends… but they could also be enjoying some relaxing silence and solitude. And either way, leaving space makes it less likely for either of you to annoy the other party with generator fumes, noise, or food odors. Similarly, you’ll want to treat the people within your group with the same kind of thoughtfulness and respect. Sure, you’re out there to have a good time together, but everyone needs some space to themselves now and again. To facilitate that balance, it’s helpful to try to make sure everyone has at least a little bit of private, comfortable space in your RV. Whether you’re camping in a trailer, motorhome, or even a tent, here are a few quick campground etiquette tips that will help ensure you’re a great neighbor. 1. If you brought it in, take it out. From leftover food scraps to non-biodegradable garbage, no one wants to arrive at a campsite swimming in the junk you left behind after your trip. Although private campgrounds sometimes feature garbage pickup, in most cases, you’ll need to take your refuse to the dump on your own — and it is definitely a necessary part of good camping etiquette to do so. When traveling in the wilderness and looking for boondocking spots, it’s always best to find a place that someone else has already scoped out. People go camping in part to get away from it all. So don’t park as close to them as possible or insinuate yourself into their personal space as soon as you arrive! 4. … but don’t forget to introduce yourself! That said, if you see your neighbors out and about, don’t just turn the other direction. Say hello! You never know who you might meet while you’re camping. 5. Don’t be too noisy. No matter how you slice it, RV walls are thin. There’s no quicker way to upset your neighbors than to throw a loud party or blare your morning radio when they’d rather be sleeping. 6. And careful with those generator fumes! If you’re camping in an area without electrical hookups and have to run your generator for air conditioning, be conscious of how close you are to your fellow RVers. No one wants to smell your generator fumes… and since burning propane produces carbon monoxide, they could even be a danger! 7. Don’t walk through neighboring campsites without permission. Even if the quickest way to the bathroom or clubhouse is straight under your neighbor’s awning, take the few extra steps and walk around. When you’re RVing, your outdoor space is part of your living area — even if you don’t have an elaborate setup with lawn chairs and other outdoor furniture. 8. Always follow campfire safety practices. Campfires are one of the very best parts of camping… but they’re also one of the most dangerous, especially around RVs with tanks of flammable fuels on board. As you can see, camping etiquette rules are fairly self-explanatory. All you need to do is take the safety and comfort of others around you into consideration before you act! 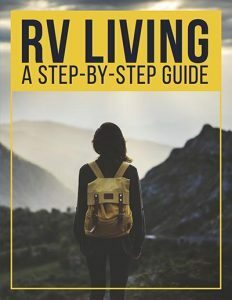 But when you’re camping in a private, resort-style RV campground, there may be some other rules and regulations you need to follow. When you’re camping at a resort, you’re on someone’s private property — and that means you need to follow all their posted rules. Most campgrounds will have rules regarding quiet hours, and many may also regulate whether or not and where alcohol is allowed on the campground, or the types of bottles and vessels it can be carried in. Some RV parks might also feature other camp rules about pets or total number of occupants allowed at each campsite. No matter what, it’s always best to follow the rules as they’re written, as you might otherwise incur a penalty charge or even be thrown out of the campground altogether. Besides, don’t you want everyone around you to be a happy camper, too? When you follow proper camping etiquette, the experience is better for everybody — which includes you.